Usually never! Very few modern mattresses are double sided and, therefore, do not need to be flipped over. With modern comfort layers and springs, the weight of a new mattress is quite heavy. It can be quite a task to turn them over. This has resulted in a move by most manufacturers to single-sided construction. Some of the earlier versions of the pillow top, double sided mattresses also had issues. Their construction meant that they provided less stability when lying on it. 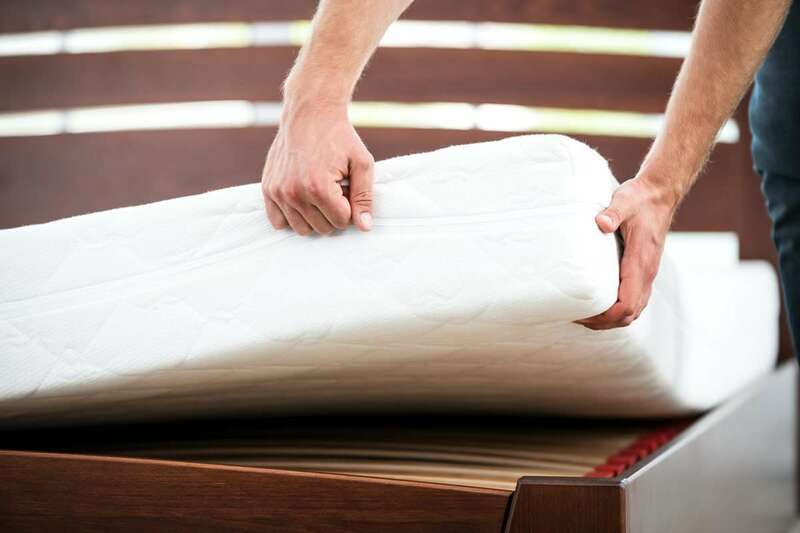 Single sided mattresses are still typically covered by full warranties of usually 10 years. Manufacturers claim that their lifespan is not affected. They do still have to be rotated on the base to spread the wear, however. This should be done every couple of weeks in the first 4 months and then every 3 months after that. To discover how we can provide some of the best beds Perth has to offer, check out our quality assurance policy. If you have any queries don’t hesitate to contact us. We are more than happy to lend you our expertise and knowledge in order to help you find your dream bed.